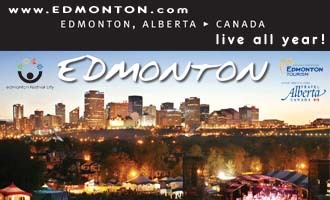 Location: Hwy 49; 42 miles north of Grande Prairie, 5 miles west of Rycroft. Population: 1000. One of the oldest towns in the region, Spirit River was also known as Ghost River or Chepi-Sepe. In 1891 a trading post became the original settlement along the banks of the river. Later settlers moved slightly further to the northwest when the railroad bypassed the previous town site. The Spirit River Settlement Museum has 11 historical buildings from the area on the grounds, including a Greek Orthodox church built in 1930. The museum is open in the afternoons from May to September and may be contacted at (870) 864-2180. 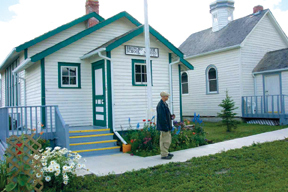 Spirit River also has a Ukrainian Orthodox church which was moved in from Rycroft in 1965. The Spirit River June Jamboree held in mid June at the Centennial Hall and Arena includes trade show exhibits, slow pitch tournament and a large parade with dozens of floats. Full hook up and camping sites are available on the edge of town. 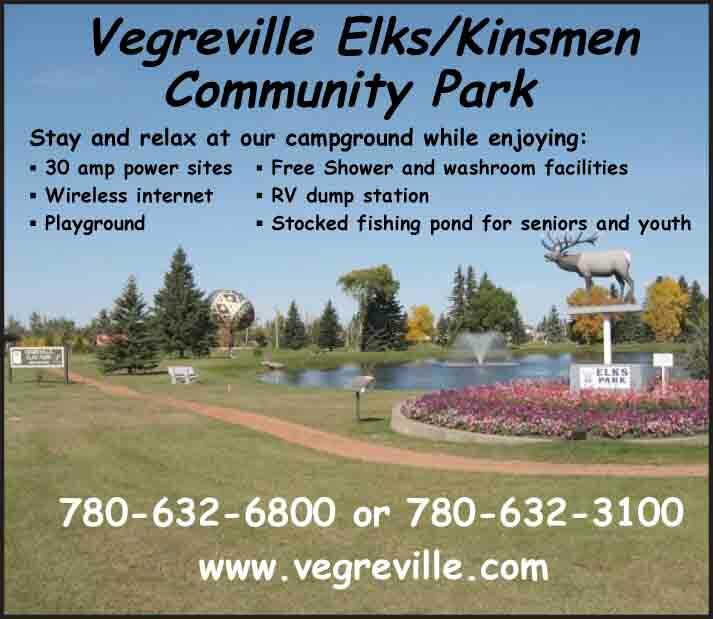 Camping facilities are also available at Moonshine Lake Provincial Park, 16 miles west and 4 miles north of Spirit River; 21 miles west on Hwy 49 at Silver Valley and 14 miles south on Hwy 2 near Woking.